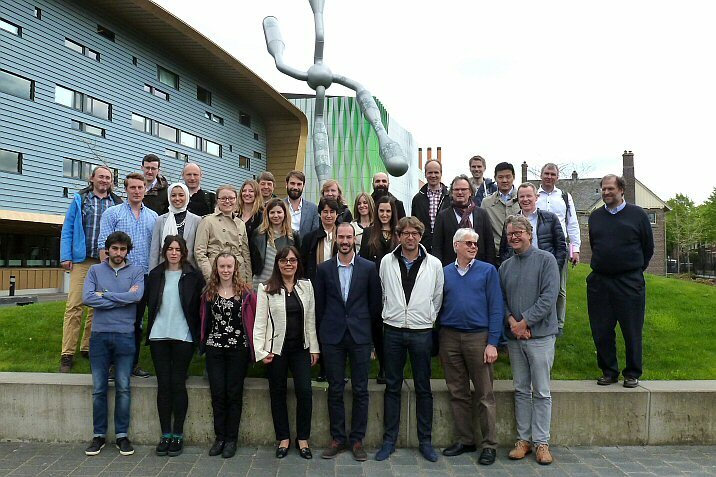 The Marie Skłodowska-Curie Innovative Training Network Accelerated Early staGe drug dIScovery (AEGIS ) will hold the 2nd AEGIS Training School at University griningen (RUG), Netherlands. Training will be offered on the basics of biophysical interaction analysis. Besides theoretical principles, practical aspects of interaction analysis were considered as sample preparation, data analysis, target validation and characterization. A special focus of the school lay on case studies of fragment based drug discovery and compound development. The program was completed by a course in project management for PhD students, and a lecture in Good Scientific Practice and Scientific Ethics. Guest speakers were invited for the theoretical lessons and the training was completed with hands-on training.